Christopher Darden is no stranger to taking on controversial cases. In the 1990s, Darden worked for the prosecution in the infamous O.J. Simpson trial that aired on television for the world to see. He tried to secure a conviction against the former NFL player for the murder of his ex-wife, Nicole Brown Simpson, and her friend, Ronald Goldman, but in the end, a jury found Simpson not guilty. Fast forward 25 years (dang, it was that long ago?!) 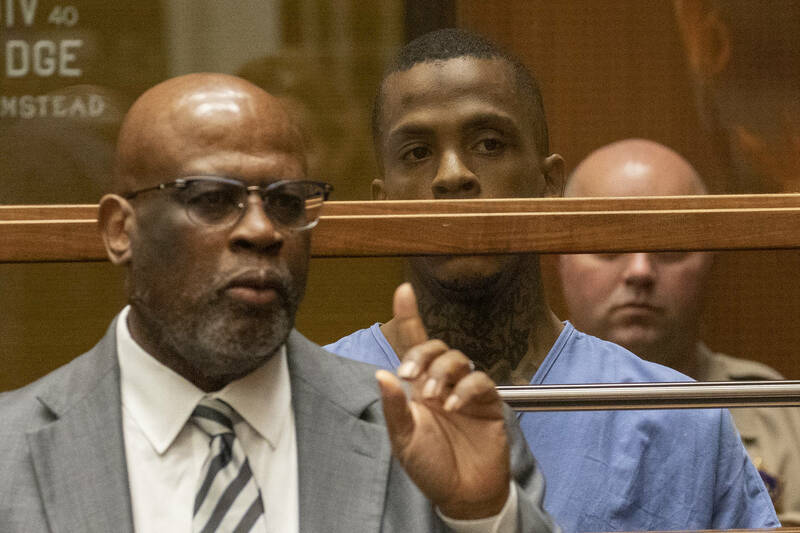 and Darden now finds himself as a defense attorney representing Eric Holder, the man who is charged with the shooting death of rapper Nipsey Hussle and the injuries of two other victims at the scene. It's been reported that Darden was "privately retained" for Holder with no further information given. Last week Darden's daughter revealed that she'd been receiving threats over her father's choice of client, but she claims she wasn't even aware that her father was representing Holder. "Like many of you I found out about my father's involvement in the case while scrolling social media," she penned in a post on social media. "I was not prepared for this backlash that has triggered back memories from the O.J. Simpson trial. My father is a grown man and has been a defense attorney for some time. I have no say in the cases he takes on." "Instead of attacking me and others who have nothing to do with this case, channel that energy toward continuing Nipsey's legacy and strengthening our communities and lifting up each other," she wrote. According to The Blast, she's not the only one in her family who has been on the receiving end of threats, because her father, too, has been harassed, as well. Darden has yet to announce whether or not he has just been retained to represent Holder during the arraignment process, or if he will continue to act as his defense counsel throughout his forthcoming trial.